These Case Studies have passed both ITEC and CIBTAC Beauty Specialist Exams. I've published these case studies only as a guideline, so please do yourself a favour and do not copy them, but rather try to come up with your own version. When you write your own case studies, you also learn at the same time and that in return will help you with your exam papers. Check out my video how do a anti-aging facial massage at home. Dagmar has a very active lifestyle, but she still finds time to care for herself and her skin. Dagmar goes regularly to beauty treatments and usually only uses high end cosmetics. Dagmar has been looking after her skin since very young age, and it shows; Dagmar’s skin is very smooth with very good elasticity and muscle tone. She only has few fine lines around her nose area. Dagmar’s only concern is the broken capillaries and the redness around the nose and check area. I asked Dagmar if she could read the client consultation form and fill in appropriately so as not to make her feel uncomfortable asking personal questions. I then prepared products for mature skin. I asked Dagmar to lie down on the massage bed and to move her bra straps in order for me to perform the treatment properly; I then covered her with the towel and blanket up to her neckline. I asked if she was warm and comfortable which she was. I played a relaxation cd to enhance her relaxation. I sat at my stool alongside my trolley and behind my clients head and placed the headband around her hair. I asked Dagmar to close her eyes and try to relax as I was about to begin the facial by removing her make-up. I applied a small amount of Hydrating Cleansing Cream by Solutions by hive at the back of my hand and using my finger I took a little and gently applied to my client’s eyes and lips. I used cotton pads to gently remove mascara and another cotton pad to remove lipstick. Then I applied the same cleanser to my palms rubbed together and let my client know I was to apply, again from her neck upwards. I began at the neck then up concentrating on her chin, cheeks, nose and forehead. I removed the cleanser with damp sponges and repeated the same procedure again, which is also called double cleanse. When I was satisfied that all make-up, dirt and debris was lifted I again wiped the cleanser away with damp sponges. I sprayed Hydrating Toner by Solutions by Hive on damp cotton pads and toned the skin and then used a tissue to dry any excess moisture. I applied aveda tourmaline charged radiant skin refiner scrub to my palms, rubbed together and told Dagmar that I was to apply this to her neck, chin, cheeks, nose and forehead, after which I removed with damp sponges and used a tissue to remove excess moisture. I then advised Dagmar that I will proceed to perform her eyelash and brow tint. Dagmar’s eyebrows and eyelashes are grey, so I mixed equal amounts of brow and grey tint with 10% hydrogen peroxide. I started with Dagmar’s left eye, and applied some petroleum jelly under lower the lashes, making sure that no petroleum jelly touches the eyelashes, since the tint won’t coat the eyelashes. I explained to Dagmar, that applying petroleum jelly around the eye area provides a mask to prevent the skin around the eye area being dyed. I placed a damp cotton pad below the lower eye lashes and applied a layer of the tint to the lower lashes. I also then applied petroleum jelly to the upper eyelid and applied another layer of the tint to the upper eyelashes, making sure to coat every single hair. I covered then Mary’s eye with a dry cotton pad and set the timer for 10 minutes. I then repeated the same procedure to the right eye. I applied a layer of petroleum jelly on the skin around Dagmar’s eyebrows, again making sure that no petroleum jelly touches the eyebrow hair. I applied to Dagmar’s left eyebrow a layer of the tint against the hair growth, making sure to coat every single hair thoroughly. I repeated the same procedure to the right eye. After I completed the tint application to the eyebrows, I removed the tint from the left eyebrow with a damp cotton pad and made sure that the tint has penetrated the brows. I repeated the same procedure to the right eye. After I left the eyelash tint for 10 minutes, with a damp cotton pad and removed the tint, starting at the root and gently moving toward the edge of the lashes. I inspected the lashes closely to ensure there was no residue on the lashes. In addition, I took a fresh pad and wiped the petroleum jelly cleanly from the skin. I handed over to Dagmar a hand mirror so she could check the result, and asked her if she was happy with the colour, and she was. Then I progressed to the eyebrow shaping, by brushing the brows up with a disposable mascara brush. I first tweezed the area between both eyebrows to remove stray hairs growing between them, and made sure to tweeze the hairs in the direction they grew, by stretching the skin with my other hand. I then tweezed the area below the eyebrow. I again asked Dagmar if she can check the results in a hand mirror and asked her if she was satisfied and she was. I then performed facial massage. I applied massage cream to my palms and added a few drops of sweet almond oil together with two drops rose essential oil and two drops orange essential oil. I applied the cream over the chest, shoulders, neck upwards to the chin, cheeks, nose and forehead. Once I had applied cream I began the face massage never allowing my hands to lose contact with my client’s skin. After the message I applied Solutions Image Skincare Ormedic Balancing Soothing Gel Masque with Organic Aloe Vera, Arnica Montana and licorice which help reduce redness and other signs of irritation while bringing sensitive skin into healthy balance. I left the masque for 10 minutes and then I removed it with damp sponges again. I toned the skin with the Hydrating Toner by Solutions by Hive and then used a tissue to dry any excess moisture. Then I applied Ormedic Balancing Bio Peptide Crème, which is an organic blended bio-peptide- crème that delivers essential anti-aging nutrients and vitamins to the skin. Organic Japanese Green Tea, mango shea butter, apricot and cucumber restores and balances the skin. Dagmar said that she felt very relaxed, that her skin felt smooth and fresh and the massage was wonderful, and that made me really happy, because I know how picky Dagmar is with her facials, and she had loads of them over all the years. She also said that she would definitely return to me for more treatments-so I scheduled her to return in 4weeks. I advised Dagmar to try and not apply any make-up for twenty four hours and drink plenty of water, and apply sunscreen everyday with at least SPF 15. To keep the skin in a healthy condition she should implement an effective skin care regime to include cleansing, toning and moisturizing twice a day. For best results, she also should exfoliate twice a week, apply a good mask once a week and see a beautician for a facial once a month. I also advised her to eat loads of fresh fruits and vegetables as possible and drink at least 2 litres of water or herbal teas a day. I was very pleased with my performance and extremely pleased with my client’s response. I feel I chose the appropriate products for Dagmar and her skin looked really radiant and fresh..
Once Dagmar had left, I discarded all used pads, tissues, trolley and bed roll, returned all products back to my case and washed all bowls, sponges and brush. I removed used towels and headband ready to be washed. I wiped trolley and massage bed over with surgical spirit and placed bowls and brush inside a container with surgical spirit. I folded the massage bed and stool and placed back into their storage space. Finally I swept the wooden floor and mopped over it with anti-bacterial cleaner. If I was working in a salon I would have done the same routine but instead of placing bed and stool back into their storage space I would have placed clean bed roll over them and placed clean towels and blanket over massage bed and reset my trolley ready for my next client. Veronica is 29 and she works as business analyst. Her job is quite stressful most of the time and she very often works long hours. Veronica has also very active private life, so she often feels that she doesn’t have enough time just for herself. I welcomed Veronica warmly and asked if she could read the client consultation form and fill in appropriately so as not to make her feel uncomfortable asking personal questions. Once she had signed the form I could fill in her record card. I asked Veronica what type of facial homecare she did , and she said, she usually actually doesn’t invest much time in her face routine, and usually she only takes her makeup off with facial wipes. I mentioned to her that this procedure is not great for skin, because she only moves the dirt around her face, so her face is never really clean. Veronica said that she didn’t know that this was that bad for her skin. Veronica has normal skin with only few minor blemishes. She is hoping to leave with more radiant and fresh looking skin. I prepared products for normal skin. She also wanted me to tidy up her eyebrows. I asked Veronica to lie down on the massage bed and to make herself comfortable. I covered Veronica with the towel and blanket up to her neckline. I also played a relaxation cd to enhance her relaxation. I sat at my stool alongside my trolley and behind my clients head and placed the headband around her hair. I asked Veronica to close her eyes and try to relax. I began the facial by removing her eye make-up and lipstick. I applied a small amount of Deep Pore Cleanser by DMK at the back of my hand and using my finger I took a little and gently applied to my client’s eyes and lips. I used cotton pads to gently remove mascara and another cotton pad to clean the mouth. I then cleansed her face, from her neck upwards to her forehead; I did this and then removed with damp sponges. Then I performed another cleanse, also called double cleanse with the same cleanser to my palms rubbed together and let my client know I was to apply, again from her neck upwards. I began at the neck then up concentrating on her chin, cheeks, nose and forehead. When I was satisfied that all make-up, dirt and debris was lifted I wiped away with damp sponges. I applied Gentle scrub by Solutions by Hive, to my palms, rubbed together and I applied this to Veronica’s neck, chin, cheeks, nose and forehead, after which I removed with damp sponges and used a tissue to remove excess moisture. I then advised Veronica that I will tweeze her eyebrows. First I brushed the brows up with a disposable mascara brush. I first tweezed the area between both eyebrows to remove stray hairs growing between them, and made sure to tweeze the hairs in the direction they grew, by stretching the skin with my other hand. I then removed all hairs that looked out of place. I asked Veronica if she feels any pain and she said no and that she was comfortable enough. I then performed the facial massage on Veronica. I applied massage cream to my and then I applied the cream over the chest, shoulders, neck upwards to the chin, cheeks, nose and forehead. Once I had applied cream I began the massage never allowing my hands to lose contact with Veronica’s skin. I then mixed a Kaolin mask with Witch Hazel for the T-Zone, which will dry up the oil and blemishes in the area. On the rest of the face I applied Aveda Tourmaline Charged Radiance Masque, which Cools and rehydrates with a surge of moisturizing aloe, kelp and lavender and Calms with rosewater, perfect for Veronica’s dry cheeks. I left the mask on for 10 minutes and then I removed it with damp sponges. I toned the skin to close the pores and applied Tourmaline Charged Hydrating Crème to lock in the moisture. Veronika said that she really enjoyed the facial and that she felt very relaxed, especially since she never has anytime for herself. She liked how her skin looked and felt after. She said she would definitely return to me for more treatments. I advised Veronica to try and not apply any make-up for twenty four hours and to drink plenty of water. I also advised her in order to keep the skin in a healthy condition she should implement an effective skin care regime to include cleansing, toning and moisturizing twice a day. So it’s a good idea to invest in good quality products for her skin type, so facial wipes are not a good skincare regime. For best results, she also should exfoliate twice a week, apply a good mask once a week and see a beautician for a facial once a month. She also needs to wear broad spectrum sunscreen with at least factor 15 everyday. Once my Veronica had left, I discarded all used pads, tissues, trolley and bed roll, returned all products back to my case and washed all bowls, sponges and brush. I removed used towels and headband ready to be washed. I wiped trolley and massage bed over with surgical spirit and placed bowls and brush inside a container with surgical spirit. I folded the massage bed and stool and placed back into their storage space. Finally I swept the wooden floor and mopped over it with anti-bacterial cleaner. If I was working in a salon I would have done the same routine but instead of placing bed and stool back into their storage space I would have placed clean bed roll over them and placed clean towels and blanket over massage bed and reset my trolley ready for my next client. Sinead is 37 and she works as an accountant in very busy office. I greeted Sinead warmly and asked if she could read the client consultation form and fill in appropriately so as not to make her feel uncomfortable asking personal questions. Once she had signed the form I could fill in her record card. I asked Sinead what type of facial homecare she did , and Sinead said, she usually does basic cleansing and moisturizing at home and once a week she applies a clay mask. Sinead feels that her skin feels dry at the moment and has an overall dull look. She is hoping to leave with more radiant and moisturized skin that. I prepared products for oily to normal skin. I asked Sinead to lie down on the massage bed and to make herself comfortable. I covered Sinead with the towel and blanket up to her neckline. I also played a relaxation cd to enhance her relaxation. I sat at my stool alongside my trolley and behind my clients head and placed the headband around her hair. I asked Sinead to close her eyes and try to relax as I was about to begin the facial by removing her eye make-up and lipstick. I applied a small amount of Deep Pore Cleanser by DMK at the back of my hand and using my finger I took a little and gently applied to my client’s eyes and lips. I used cotton pads to gently remove mascara and another cotton pad to remove lipstick. I then told Sinead that I was about to begin to cleanse her face, from her neck upwards to her forehead, I did this and then removed with damp sponges. Then I performed another cleanse with the same cleanser to my palms rubbed together and let my client know I was to apply, again from her neck upwards. I began at the neck then up concentrating on her chin, cheeks, nose and forehead. When I was satisfied that all make-up, dirt and debris was lifted I wiped away with damp sponges. I applied Aveda Tourmaline Charged Exfoliant, which is good for oily and congested skin, to my palms, rubbed together and I applied this to Sinead’s neck, chin, cheeks, nose and forehead, after which I removed with damp sponges and used a tissue to remove excess moisture. I then advised Sinead that I will proceed to perform her eyelash and brow tint. Earlier during the consultation, Sinead and I decided that the color brown would suit best for the eyelash and eyebrow tint. In a small mixing bowl and squeezed about one centimeter of the eyelash tint and added two drops of developer to the tint. Using a complying mixing stick, I mixed the tint well with the developer. I started with Sinead’s left eye, and applied some petroleum jelly under lower the lashes, which I have decanted with my spatula making sure that no petroleum jelly touches the eyelashes, since the tint won’t coat the eyelashes. I explained to Sinead, applying petroleum jelly around the eye area provides a mask to prevent the skin around the eye area being dyed. I placed a damp cotton pad below the lower eye lashes and applied a layer of the tint to the lower lashes. I also then applied petroleum jelly to the upper eyelid and applied another layer of the tint to the upper eyelashes, making sure to coat every single hair. I covered then Sinead’s eye with a dry cotton pad and set the timer for 10 minutes. I asked Sinead if she still was comfortable, and she was. I then repeated the same procedure to the right eye. I applied a layer of petroleum jelly on the skin around Sinead’s eyebrows, again making sure that no petroleum jelly touches the eyebrow hair. I applied to Sinead’s left eyebrow a layer of the tint against the hair growth, making sure to coat every single hair thoroughly. I repeated the same procedure to the right eye. After I left the eyelash tint for 10 minutes, with a damp cotton pad and removed the tint, starting at the root and gently moving toward the edge of the lashes. I inspected the lashes closely to ensure there was no residue on the lashes. In addition, I took a fresh pad and wiped the petroleum jelly cleanly from the skin. I gave Sinead a hand mirror so she could check the result, and asked her if she was happy with the color, and she was. Then I progressed to the eyebrow shaping, by brushing the brows up with a disposable mascara brush. I first tweezed the area between both eyebrows to remove stray hairs growing between them, and made sure to tweeze the hairs in the direction they grew, by stretching the skin with my other hand. I then removed all hairs that looked out of place. I then performed facial massage on Sinead. I applied massage cream to my palms and told Sinead that I was to begin starting from her chest. I applied the cream over the chest, shoulders, neck upwards to the chin, cheeks, nose and forehead. Once I had applied cream I began the massage never allowing my hands to lose contact with my client’s skin. I then mixed a Kaolin mask with Witch Hazel for the T-Zone, which will dry up the oil and blemishes in the area. On the rest of the face I applied Image Skincare Vitamin C Hydrating masque, which boost the skin hydration and will help regain suppleness and a healthy glow. I left the mask on for 10 minutes and then I removed it with damp sponges. I toned the skin to close the pores and applied Image Skincare Vitamin C Hydrating Serum and Moisturizing cream to lock in the moisture. Sinead said that she really enjoyed the facial and that she felt very relaxed. She was very pleased with the end result and said she felt she looked at least five years younger. She said she would definitely return to me for more treatments-so I scheduled her to return in 4weeks. She also promised to recommend me to her friends and family members. I advised Sinead to try and not apply any make-up for twenty four hours and to drink plenty of water. I also advised Sinead in order to keep the skin in a healthy condition she should implement an effective skin care regime to include cleansing, toning and moisturizing twice a day. So it’s a good idea to invest in good quality products for her skin type. Always wear broad spectrum sunscreen with at least factor 15. I was very pleased with my performance and I felt I had chosen the appropriate products for Sinead. Her skin really looked glowing and so fresh, once ridden of all the dead skin and sebum. Once my client had left, I discarded all used pads, tissues, trolley and bed roll, returned all products back to my case and washed all bowls, sponges and brush. I removed used towels and headband ready to be washed. I wiped trolley and massage bed over with surgical spirit and placed bowls and brush inside a container with surgical spirit. I folded the massage bed and stool and placed back into their storage space. Finally I swept the wooden floor and mopped over it with anti-bacterial cleaner. If I was working in a salon I would have done the same routine but instead of placing bed and stool back into their storage space I would have placed clean bed roll over them and placed clean towels and blanket over massage bed and reset my trolley ready for my next client. Mary is 56 and works as Office Manager. She often gets very stressed in her job and doesn’t have much time for herself. She did basic cleansing and moisturizing at home and wanted to feel pampered and relaxed and of course if possible to rehydrate the skin to make it look plumper and more youthful looking. I asked Mary if she could read the client consultation form and fill in appropriately so as not to make her feel uncomfortable asking personal questions. 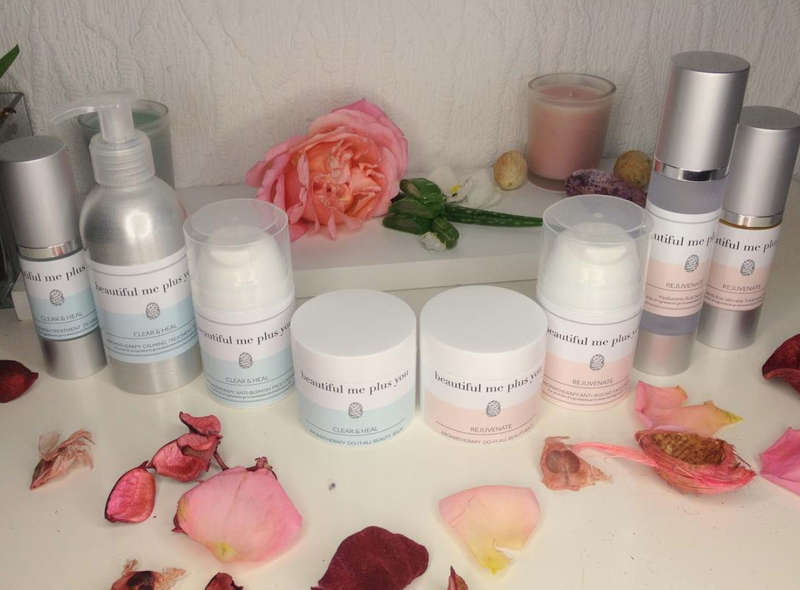 I then prepared products for mature skin and stress relief. I asked Mary to lie down on the massage bed and to move her bra straps in order for me to perform the treatment properly; I then covered her with the towel and blanket up to her neckline. I asked if she was warm and comfortable which she was. I played a relaxation cd to enhance her relaxation. I sat at my stool alongside my trolley and behind my clients head and placed the headband around her hair. I asked Mary to close her eyes and try to relax as I was about to begin the facial by removing her eye make-up and lipstick. I applied a small amount of Hydrating Cleansing Cream by Solutions by hive at the back of my hand and using my finger I took a little and gently applied to my client’s eyes and lips. I used cotton pads to gently remove mascara and another cotton pad to remove lipstick. I then told Mary I was about to begin applying pre-cleanser to her face, from her neck upwards to her forehead, I did this and then removed with damp sponges. Then I applied the same cleanser to my palms rubbed together and let my client know I was to apply, again from her neck upwards. I began at the neck then up concentrating on her chin, cheeks, nose and forehead. When I was satisfied that all make-up, dirt and debris was lifted I wiped away with damp sponges. I applied Solutions by Hive Gentle Facial scrub to my palms, rubbed together and let my client know I was to apply this to her neck, chin, cheeks, nose and forehead, after which I removed with damp sponges and used a tissue to remove excess moisture. Marys skin felt smooth and exfoliated after the scrub. I then advised Mary that I will proceed to perform her eyelash and brow tint. I started with Mary’s left eye, and applied some petroleum jelly under lower the lashes, which I have decanted with my spatula making sure that no petroleum jelly touches the eyelashes, since the tint won’t coat the eyelashes. I explained to Mary, applying petroleum jelly around the eye area provides a mask to prevent the skin around the eye area being dyed. I placed a damp cotton pad below the lower eye lashes and applied a layer of the tint to the lower lashes. I also then applied petroleum jelly to the upper eyelid and applied another layer of the tint to the upper eyelashes, making sure to coat every single hair. I covered then Mary’s eye with a dry cotton pad and set the timer for 10 minutes. I then repeated the same procedure to the right eye. I applied a layer of petroleum jelly on the skin around Mary’s eyebrows, again making sure that no petroleum jelly touches the eyebrow hair. I applied toMary left eyebrow a layer of the tint against the hair growth, making sure to coat every single hair thoroughly. I repeated the same procedure to the right eye. After I left the eyelash tint for 10 minutes, with a damp cotton pad and removed the tint, starting at the root and gently moving toward the edge of the lashes. I inspected the lashes closely to ensure there was no residue on the lashes. In addition, I took a fresh pad and wiped the petroleum jelly cleanly from the skin. I gave Mary a hand mirror so she could check the result, and asked her if she was happy with the color, and she was. Then I progressed to the eyebrow shaping, by brushing the brows up with a disposable mascara brush. I first tweezed the area between both eyebrows to remove stray hairs growing between them, and made sure to tweeze the hairs in the direction they grew, by stretching the skin with my other hand. I then tweezed the area below the eyebrow by making a small arch on Mary’s eyebrows. I then removed all hairs that looked out of place. I again asked Mary if she can check the results in a hand mirror and asked her if she was satisfied and she was. I then performed facial massage. I applied massage cream to my palms and added a few drops of sweet almond oil, rubbed together and told my client I was to begin starting from her chest. I applied the cream over the chest, shoulders, neck upwards to the chin, cheeks, nose and forehead. Once I had applied cream I began my client’s massage never allowing my hands to lose contact with my client’s skin. After the message I applied Solutions by Hive Hydra Intense Mask for 10 minutes to deep hydrate Mary’s skin, and then I removed the Mask with damp sponges again. I advised Mary to try and not apply any make-up for twenty four hours, drink plenty of water and to try and refrain from drinking any alcohol, she laughed and said no problem with the make-up but she did like a glass of wine at night. I suggested to her to choose good quality make up that compliments her skin tone. I also advised her to eat loads of fresh fruits and vegetables as possible and drink at least 2 liters of water or herbal teas a day. I was very pleased with my performance and extremely pleased with my client’s response. I feel I chose the appropriate products for my client’s age, skin and lifestyle. She is a very busy human resources manager within a stressful environment so to know that I had achieved my aim of treating her well, helping her to relax, feel pampered and wanting to return was very satisfying for me. Mary arranged an appointment with me for a Facial including Paraffin Wax Treatment. Mary is 50 and is Office Manager. She often gets very stressed in her job and often doesn’t have much time for herself. She did basic cleansing and moisturizing at home and wanted to feel pampered and relaxed and of course if possible to rehydrate the skin to make it look plumper and more youthful looking. Mary and I agreed that Paraffin wax would be suit best for her mature skin. I explained to Mary that paraffin wax will help the skin to absorb the moisturizing oils and will soothe and soften the skin. It will also relaxes the facial muscles to help release tension and leave the skin bright and glowing. I asked Mary if she could read the client consultation form and fill in appropriately so as not to make her feel uncomfortable asking personal questions. I then prepared products for mature skin and stress relief and made sure that the Paraffin wax has been already melted to working temperature of 55 Degree Celsius. After the message I was ready to perform the Paraffin Wax Treatment. Before I started with Mary’s facial I already set the temperature on the paraffin heater to 55 Degree Celsius and melted it down until it appeared like water. I then applied a thick layer of Decleor’s Excellence de l'Age Divine Regenerating Mask to Mary’s face. Over the mask I then applied gauze on Mary’s face in order not burn the face with the paraffin wax. I then applied the paraffin wax with the paint brush. I lightly brushed the face with the paint brush and fully coated the gauze with the wax. I let the paraffin wax dry for 10 minutes. Once the wax was dry, I gently pull the wax mask off of Mary’s face, and I noticed how soft and smooth the skin has become. I removed the rest of the mask with damp sponges and then I toned the skin to close the pores and applied Image Skincare Vitamin C Hydrating Serum and Moisturizing cream to lock in the moisture. Mary said that she felt very relaxed, that her skin felt smooth and fresh and the massage was wonderful, this really pleased me as she has had quite a few facial and massage treatments over the years. She also said that my client care was very good and she would definitely return to me for more treatments-so I scheduled her to return in 4weeks.